Recently, according to Square Enix, the transcript of its quarterly earnings conference call was released. It showcasing that Final Fantasy XIV and Final Fantasy XII: the zodiac age. Matsuda-san stressed that paying subscribers are at a record high since the release of the FFXIV Stormblood expansion on June 20th. During the later half of the call, as part of a Q & A session, Matsuda-san explained that the MMO sub-segment of the business saw the biggest outperformance of the company's expectations, with sales growing by several billion yen. This was due to them being overly conservative in estimating the boost Stormblood would provide. Up to now, Final Fantasy XIV surpassed ten million registered users, for this figure, it represented anyone who created an account, including free trials. Based on prediction, Final Fantasy XIV Stormblood will make a sustained contribution to earnings going forward. We will update more news and guides, don't miss out the best place: https://www.ffxiv4gil.com/. 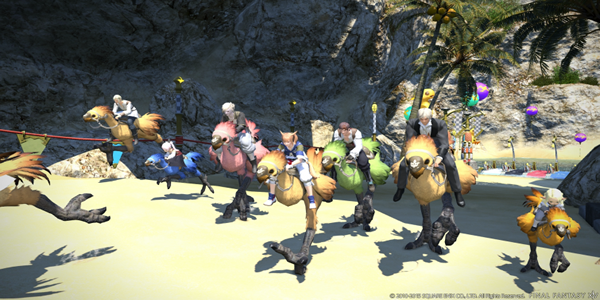 Final Fantasy XIV will be continue to develop in the near future. The full patch notes content also was unveiled, for instance, Final Fantasy XIV Stormblood, 4.05. Now, this patch adds quite a few new things, including a high- difficulty version of the Omega: Deltascape raid and a new special instance.